Saving money on produce is always a good thing. 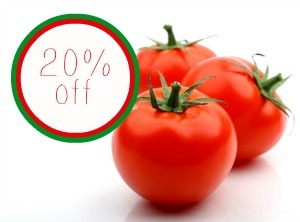 Savingstar is offering an eCoupon to get 20% back on any single purchase of loose tomatoes at participating retailers! This is valid on purchases up to $10 (maximum $2 reward) and is only good for tomatoes that are unwrapped.